Sorry about the image quality – our digital camera has run off and hidden somewhere, so the pic was taken on my phone camera which is not the best. The yellow is actually a much nicer gold than it appears. 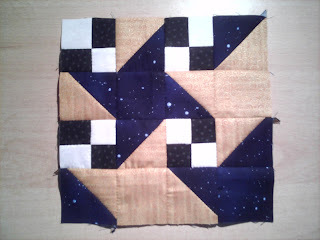 Looking forward to seeing everyone else’s starry night blocks.